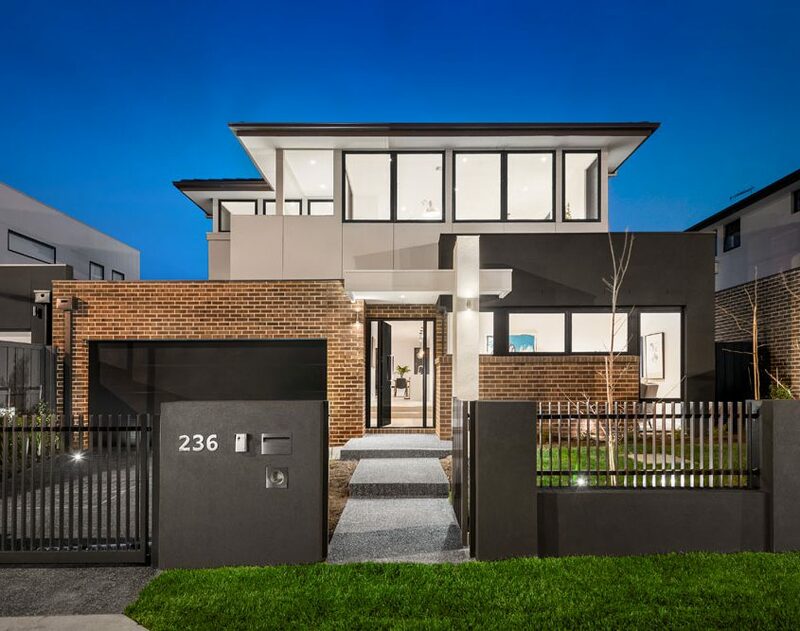 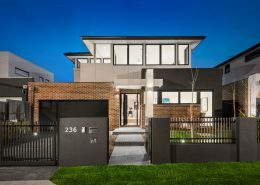 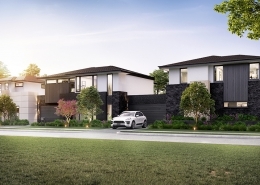 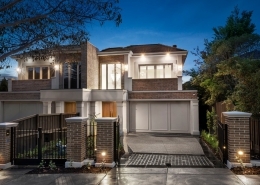 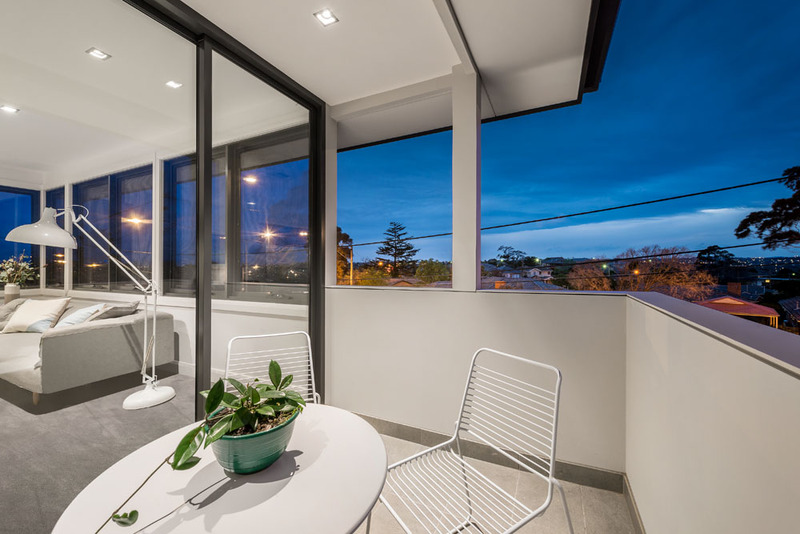 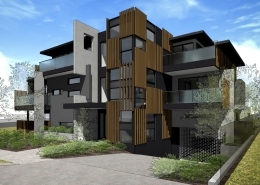 On the corner of Tasker Street & Thompsons Road, this brand new 4 bedroom residence enjoys an elevated position offering magnificent 180° views encompassing the CBD. 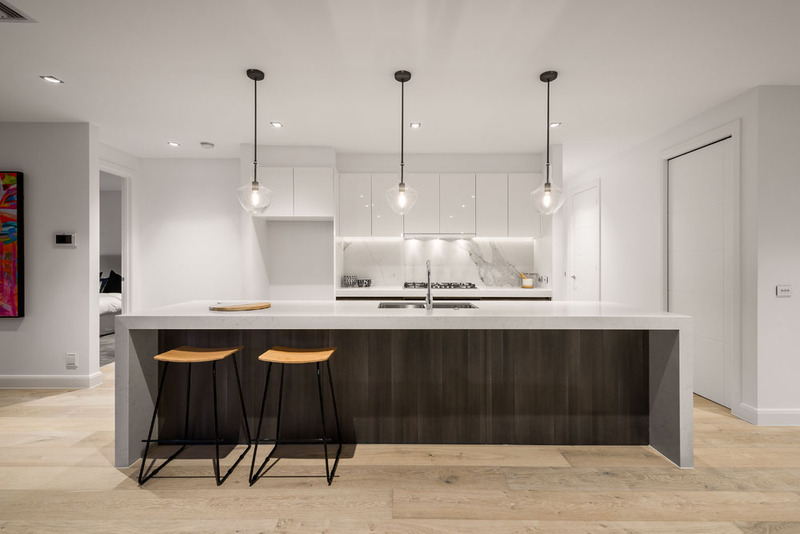 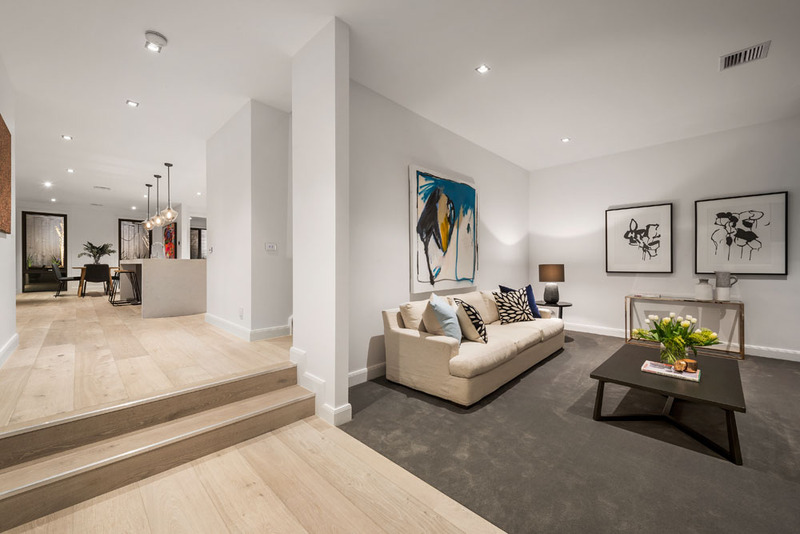 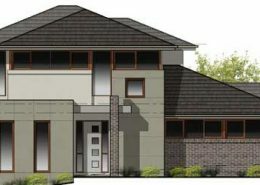 The well-considered floorplan sprawls over 2 levels, boasting 3m ceilings with square-set cornices, high skirtings and European Oak floors on the ground level. 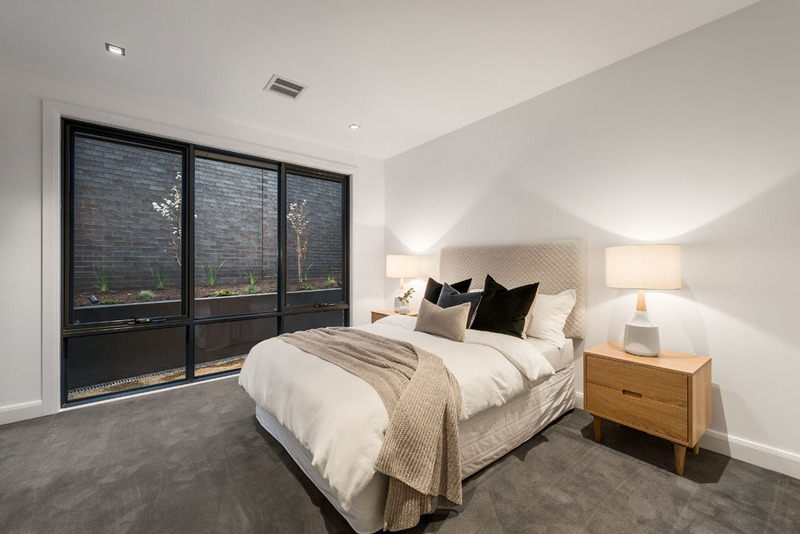 Accompanied by an intimate formal lounge and ground floor master bedroom featuring fitted built-in wardrobes and a luxurious ensuite. 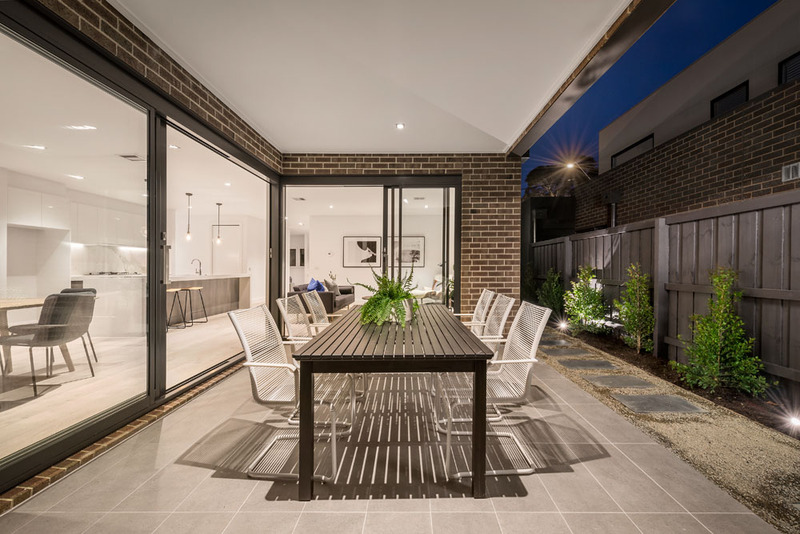 The open plan living and dining area seamlessly accesses a covered alfresco pavilion. 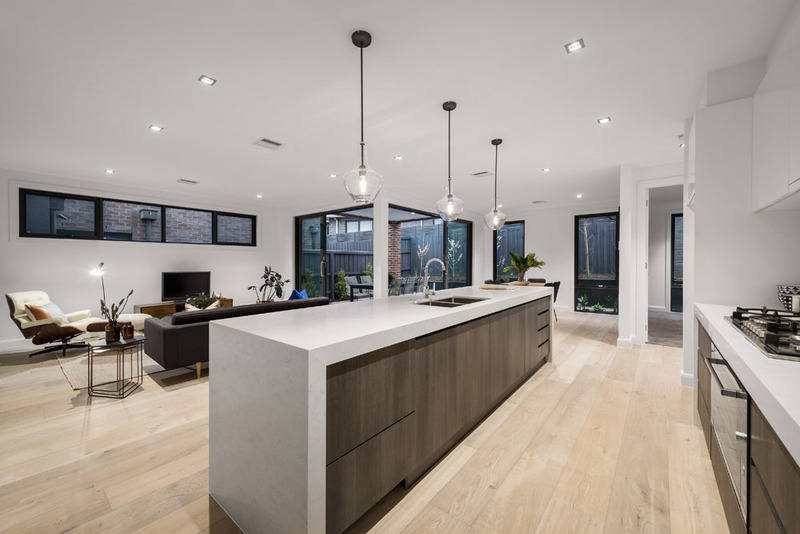 A huge epicurean kitchen boasts BOSCH European stainless steel cooking appliances, an integrated Fisher & Paykel dish drawer dishwasher, soft-close cabinetry, 80mm waterfall Caesarstone benches and heavy duty appliance storage in an enormous pantry fit for a Master Chef. 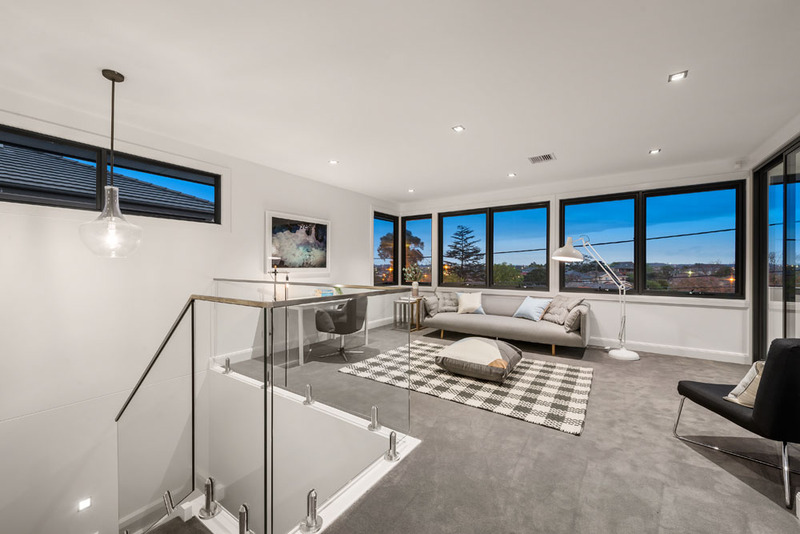 The most impressive views are offered by the top floor’s rumpus room and balcony, accompanied by 3 robed and carpeted bedrooms, one includes an ensuite and WIR usable as a second Master Bedroom. 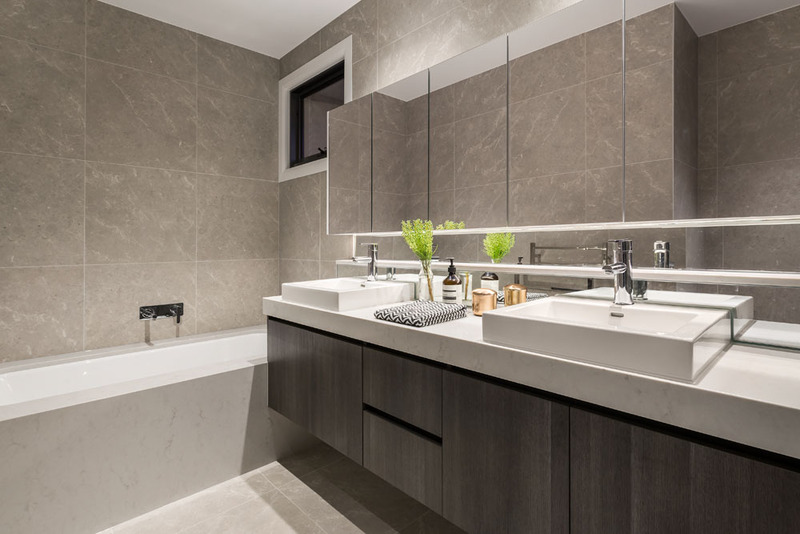 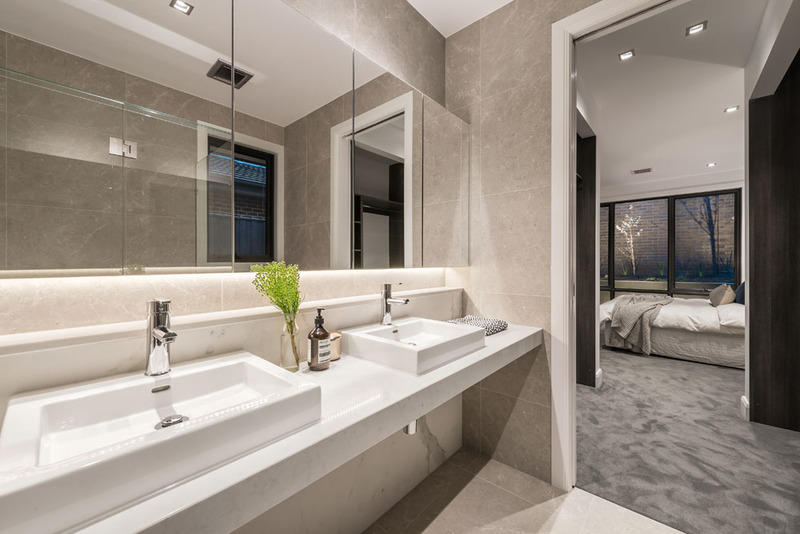 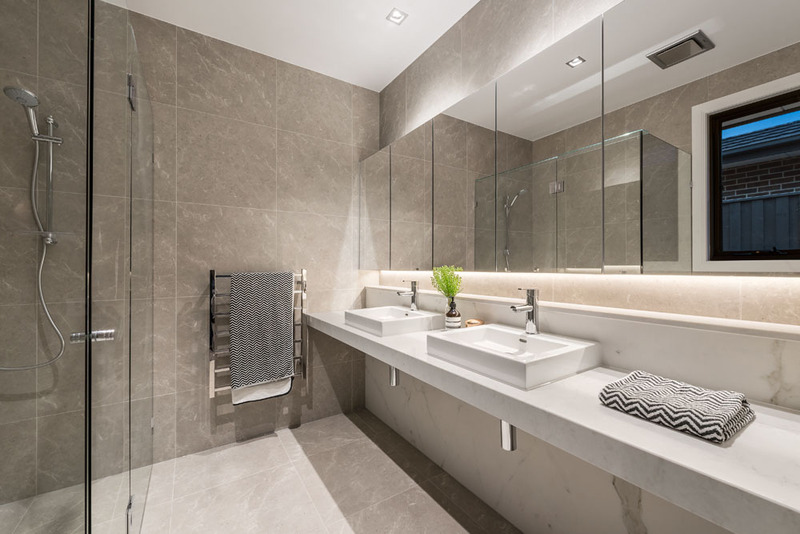 The bath and powder rooms feature Caesarstone vanities, frameless shower screens, heated towel rails and abundant concealed storage. 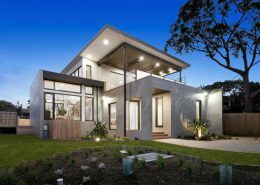 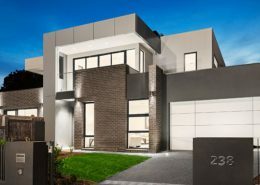 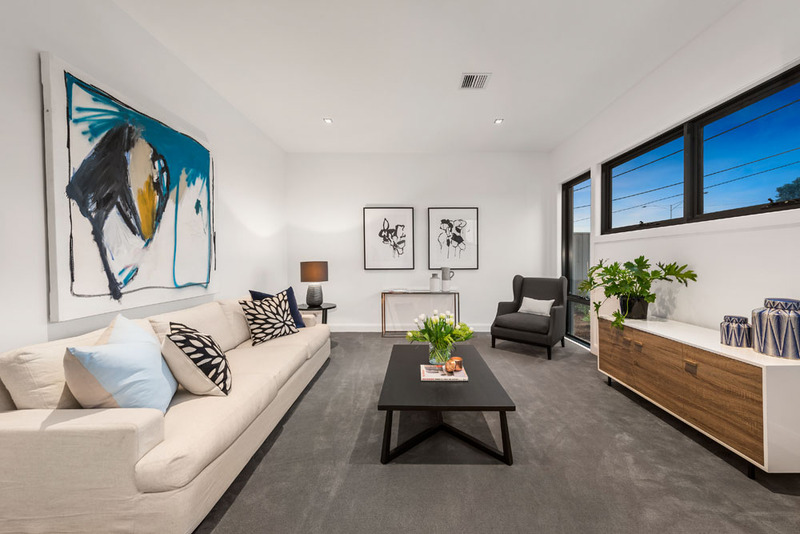 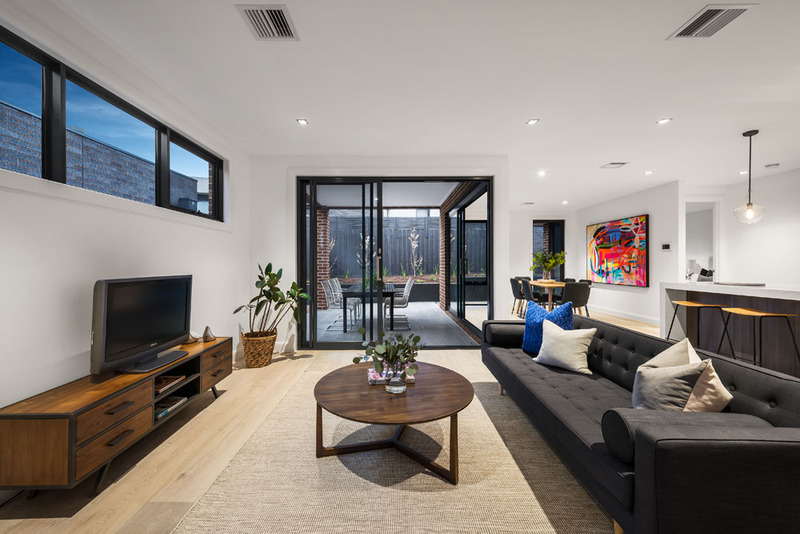 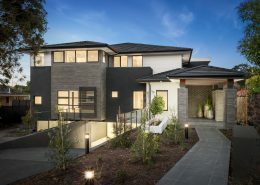 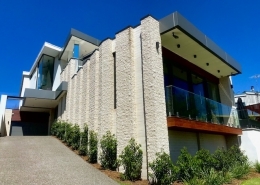 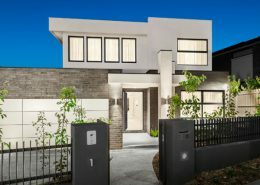 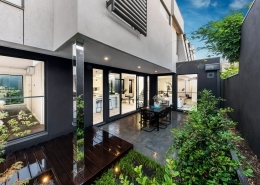 Technologically-advanced, this designer abode also features ducted heating and refrigerated cooling, ducted vacuum, LED lighting and data cabling, an alarm, established gardens and semi-commercial grade windows and doors. 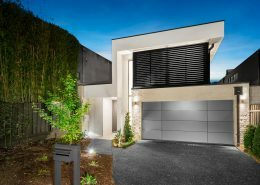 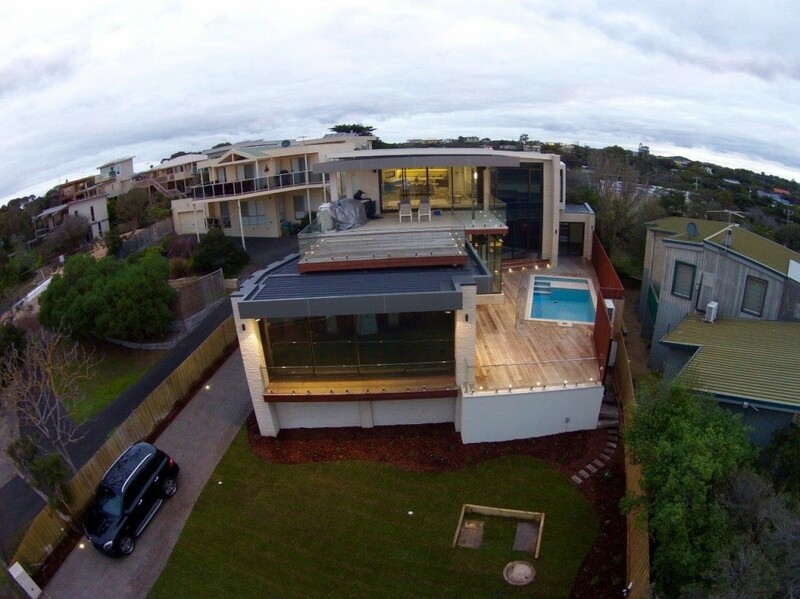 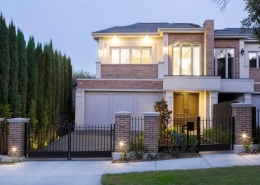 A video intercom system controls the automatic pedestrian and driveway gates, accessing the remote-controlled double garage with secure internal access. 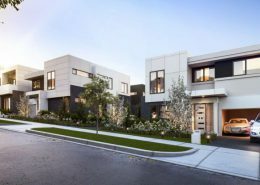 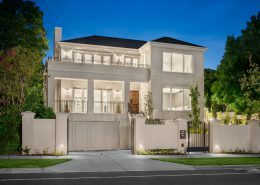 Walk to buses and The Clinic Bulleen, close to Ted Adjani Reserve, Bulleen Heights Schools, Bulleen Plaza and Macedon Square, a short drive from the Eastern freeway and Westfield Doncaster.